The Bournemouth Symphony Orchestra with a concert entitled Music for the Soul: Vaughan Williams and Tippett. The Bournemouth Symphony Orchestra with a concert entitled “Music for the Soul”: Vaughan Williams and Tippett. The oratorio A Child of Our Time was Tippett’s artistic and emotional response to the events that led to the ‘Kristallnacht’ pogrom of November 1938. Tippett used as his formal and historical models the Bach Passions and Handel’s Messiah which share with this contemporary morality the subject of the death of an individual set against the universal background of human suffering. His use of the spiritual as a contemporary equivalent for the Lutheran chorale of the Bach settings draws the listener more closely into the drama through the spirituals’ unique verbal and musical metaphor. The Tallis melody that is the basis for Vaughan Williams’ Fantasia is one of nine he contributed to the Psalter of 1567 for the first Anglican Archbishop of Canterbury. It is heard in its complete form three times and serves as the source for a wonderful miasma of variants and developments in this rich orchestral composition written for a large string orchestra divided into three parts. Although it is not specifically religious music, it seems to speak to the spirit. Choir: Bournemouth Symphony Chorus. Conductor: David Hill. Orchestra: Bournemouth Symphony Orchestra. Conductor: David Hill. Ensemble: Academy of St Martin in the Fields. Conductor: Neville Marriner. Tippett: Divertimento on 'Sellinger's Round' etc.. Conductor: David Hill. 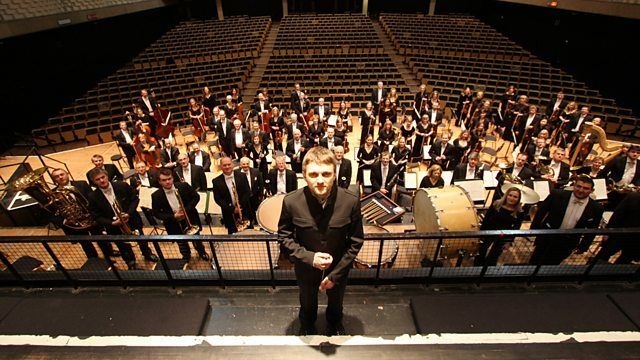 Orchestra: Bournemouth Symphony Orchestra and Chorus. Performer: Lucy Parham. Orchestra: BBC Concert Orchestra. Conductor: Barry Wordsworth.